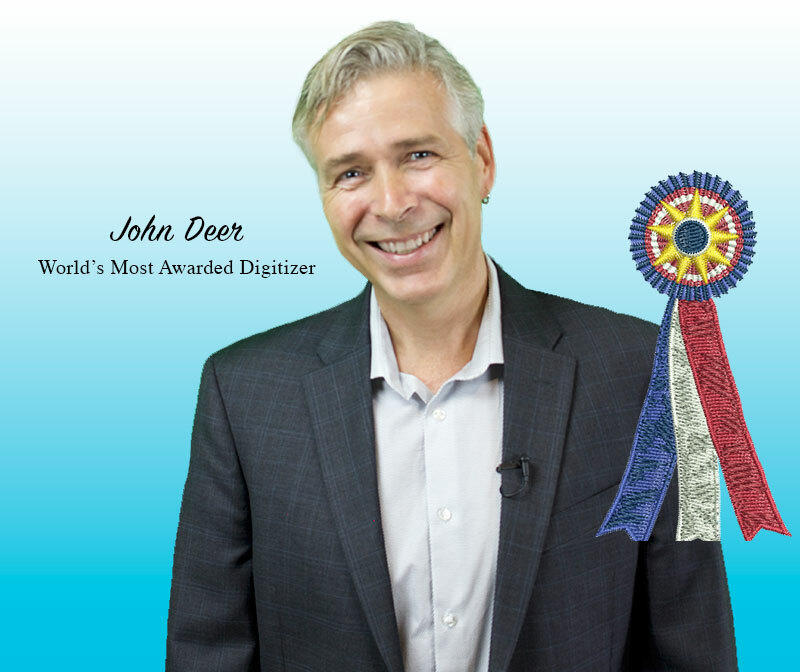 Important: Like most people, you’re likely here because you’ve already completed Level 1 of the Digitizer’s Dream Course & seen first hand why our superior education has helped over 10,000 students learn how to digitize. If you haven’t done level 1 yet, I highly recommend that you begin there as the theory covered in that level is extremely important. This level continues where level 1 left off & focuses on the 2nd primary stitch type used in machine embroidery: the satin stitch. Digitize 11 Designs Yourself using artwork we supply. Moving from simple to more complex, you’ll digitize 12 designs with help from John so you can better understand & retain the theory taught. 1 Certification Lesson. This is a final ‘test’ after you’ve completed level 2. Here you’ll digitize a design completely by yourself using the theory you’ve learnt & send in your finished design to be evaluated by John personally. You’ll receive an official ‘Satin-Stitch Certificate” for completing the certification lesson. What Exactly Does Level 2 Cover? You’ll learn how to digitize corners with very sharp angles: learning the theory of how to section and path an object that your software would not properly generate. Unlock the mystery of why results change from screen to machine: Your embroidered designs can look so perfect on your computer screen… And then end up sewing out terribly on your embroidery machine. Digitizers quickly learn the rule… “What you see on screen, isn’t always what you get” when it comes to embroidery. The key is understanding push and compensation. It will ensure you get positive results, minimize editing and remove the need to run multiple test samples. You’ll learn how using proper underlay with push and pull compensation will assist in visually making your designs look perfect when they stitch out. You’ll learn how to create clean crisp lettering. The mark of a good Digitizer is clean text. In this level you’ll apply the theory you’ve learned and manually digitize lettering. You’ll understand how to map/path lettering based on the direction of the text and to join closest point between letters. Manually digitizing text will build a foundation that applies to all the aspects of manually digitizing satin stitch objects. Finally, you’ll apply the theory you’ve learned by digitizing three different font types. It is vitally important that we put these principles into practical exercises. This will help you not only with creating clean crisp fonts, but with all objects using a satin stitch. Logically pathing objects is one of the most important attributes in becoming a skilled digitizer. You already know these classes work… Save yourself both time & money and continue learning the beautiful art of embroidery digitizing today.